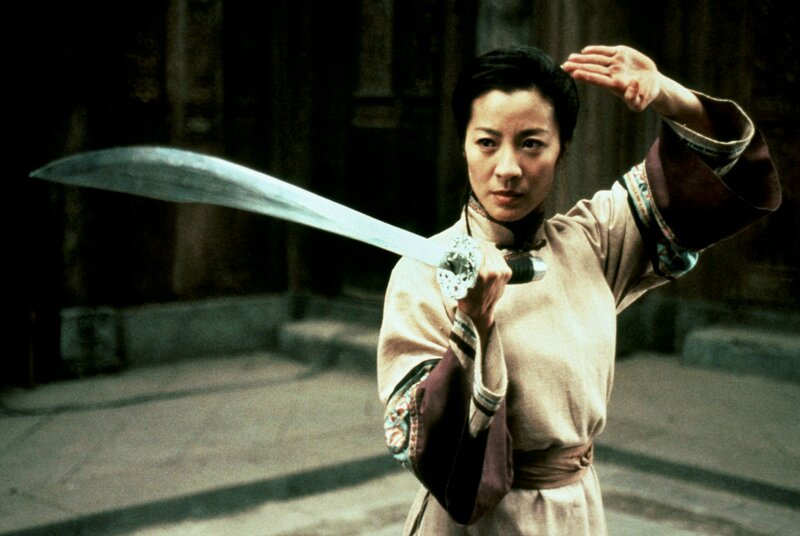 Crouching Tiger, Hidden Dragon (2000), Starring Michelle Yeoh as Yu Shu Lien. When Crouching Tiger, Hidden Dragon was first released in western cinemas in December 2000, it brought the Wuxia sub-genre of Martial Arts films to the mainstream in a way that no offering had done before. Granted, it had the backing of a major Hollywood studio at the height of its powers (Miramax), but it’s impact was undeniable. It opened the door to productions such as Hero and House Of Flying Daggers being marketed directly at international audiences and turn one of its stars, Zhang Ziyi, into a household name. Ang Lee’s groundbreaking epic brought an independent film-making sensibility to a well worn genre and elevated characterisation, and in particular female characterisation, to a whole new level. One of the recipients of this is my choice for Woman Crush Wednesday, Yu Shu Lien. Shu Lien is the epitome of a warrior. She exemplifies the pinnacle of physical and mental strength, thanks in part to her Wudang (Wu Tang) training. The Wudang practice Taoist principles and beliefs and Yu Shu Lien brings this spiritualism to her serene personality. When we are introduced to her the film, she is very much the equal of her friend and companion Li Mu Bai (Chow Yun Fat aka Uncle Chow). She is entrusted with the task of delivering Mu Bai’s legendary sword, Green Destiny to Sir Te, a long time friend of Wudang and Mu Bai. The warm reverence with which Sir Te greets Shu Lien speaks volumes for her importance and her character. Though there are no explicit references to Shu Lien’s past as a warrior in the film, it’s clear that this is someone who is not to be taken lightly. Indeed, a few scenes later, we are shown exactly why she is so revered by her host. When a nefarious thief arrives and makes off with Green Destiny, only Shu Lien has the skill to confront them. What follows is one of the two thrilling confrontations, as Shu Lien treats us to a full display of her fighting prowess. Several times, she traps her opponent from trying to escape using nothing more then her foot and her formidable chi. As the fight rages, the thief attempts to overpower Shu Lien, but their attacks are easily deflected with a mere flick of the wrist and a forceful push. Had a hidden accomplice not interrupted the fight, allowing the thief to escape, Shen Lien would surely have finished her opponent of. That Shien had the presence of mind to catch a dart thrown at her whilst in the midst of her fight tells us that this woman’s prowess is unrivalled. But there is more to Shu Lien then combat skills. She befriends a curious young girl named Jen (Zhang Ziyi) the daughter of a governor who is about to be married to man she had never met, as is the custom at that time. 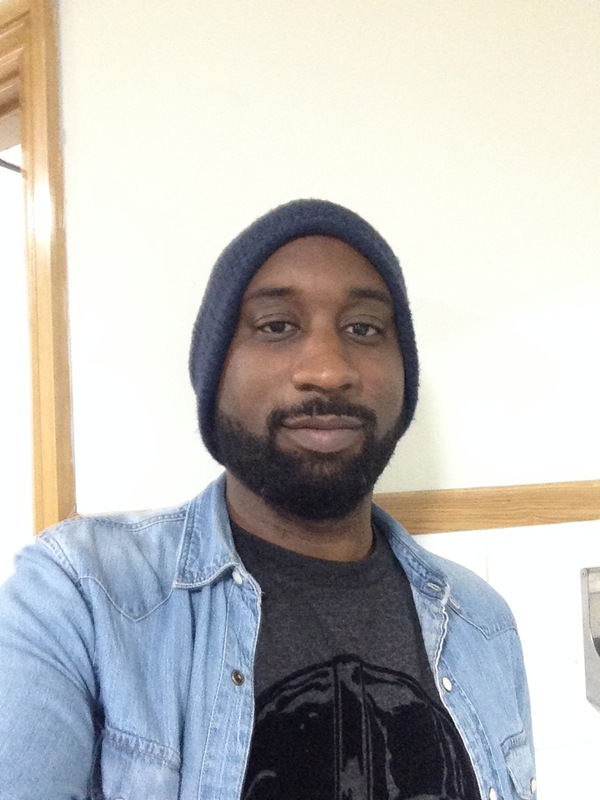 Shen provides a welcome distraction for Jen, and offers some sound advice on the subjects of marriage and life in general. Jen becomes intrigued by Shen’s stories of the life of a warrior and their friendship triggers events within the film that send the two women into a head on collision that can only ultimately end in tragedy. 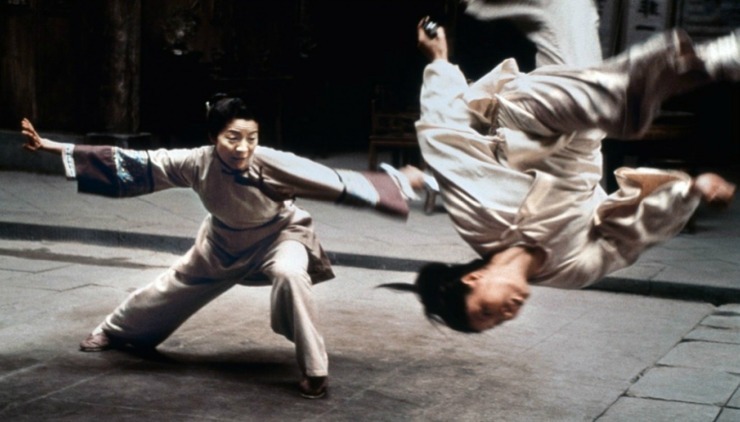 Yu Shu Lien and Jen engage in one of the most thrilling fights ever staged on screen. Jen, armed with Green Destiny, refuses to return the legendary sword to Shu Lien. Yu Shu Lien has no choice but to confront her one time ‘sister’ in a duel to the death. There are so many jaw dropping moments in this fight that I don’t think any words I can muster can do it justice, I can only urge you to watch it here! Suffice to say, if you’re still not convinced by Shu Lien’s outright bad-assery, well , maybe powerful female warriors just aren’t for you. In which case, the Stone Ages are back the way you came. The discipline Shu Lien shows not to kill her opponent when she has bested her, in spite of the obvious disadvantage Green Destiny creates, again highlights the maturity and skill that only true warriors are familiar with. Jen’s impetuousness only further illustrates the gap between these two women, and why Jen was arguably never worth of the training she receives. In one of the most emotionally charged scenes of the film, Shu Lien shows why she is also a woman of incredible depth. As Li Mu Bai prepares for death, he openly admits his love for Shu Lien and finally we see Shu Lien’s tough exterior crack. As she weeps for Mu Bai, she admits that she too has long held love in her heart for Mu Bai and the tragedy and irony come full circle as the two most powerful characters in the film could not bring themselves to acknowledge their feelings for each other and could only do so when death had come for one of them. Yu Shu Lien’s story ends somewhat abruptly in the film after this point, though her story is expanded upon within the original novels the film is based upon. With the sequel to Crouching Tiger, Hidden Dragon due for worldwide release later this year, there is every chance we can learn more about this magnificent woman and a new generation of cinema audiences can be enthralled by the Warrior Woman of Wudang. Jen Yu: “ It must be exciting to be a fighter, to be totally free.